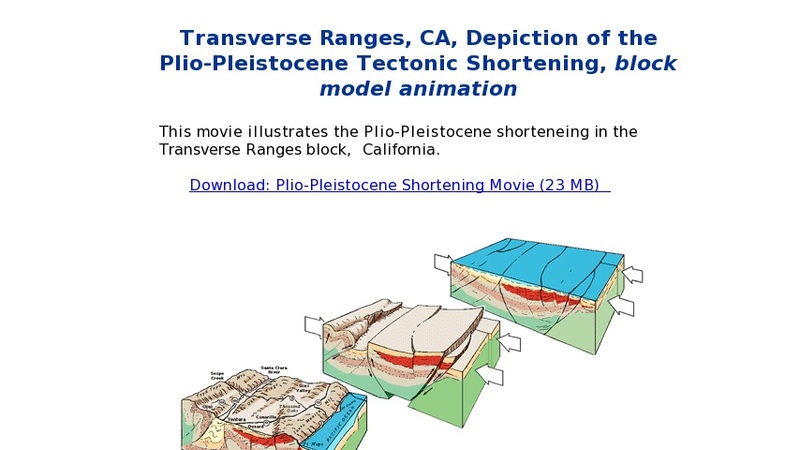 An animation of the formation of Southern California's mountainous landscape through uplifting and tectonic forces. Over time, land that was below sea level was forced upwards, creating the Santa Monica Mountains and the Topa Topa Mountains. The animation is available as a QuickTime file.